I recently created a cover for a just released ebook. The plan is to release the first part for free in ebook shape. The second book is almost done writing. They created a whole universe and, of course, are still working on a lot of things on many levels. Trying to grow a fanbase. The guys behind it invested a lot of time and work into the project and still continue to do so. Since only a part of the story is told now. There is more to come! These guys have a vision. Now i rarely write about commissions but i want to take this chance to spread the word about the book. 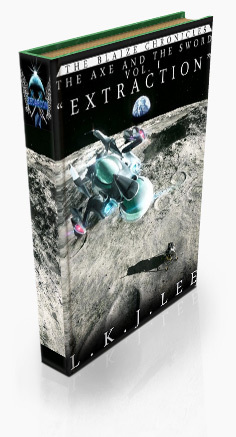 It might be something for you if you are a SciFi fan. So give it a shot if you’re having some spare time left. The ebook download is free and can be found here. This entry was posted on Thursday, March 3rd, 2011 at 16:08	and is filed under Publications. You can follow any responses to this entry through the RSS 2.0 feed. You can leave a response, or trackback from your own site.